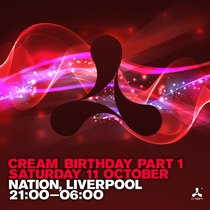 Following the sell out success of Creamfields which attracted a record breaking 70,000 people at the weekend, Cream recently unveiled the line-up for their 22nd Birthday bash on Saturday 11 October. After his performance in the Super You&Me arena at this year’s festival, Dirty Dutchman Chuckie returns to the Main Room, where he will be joined by Oliver Heldens. Having been signed to Spinnin’ records at the age of 17, Oliver is one of the nu-breed of Dutch dance DJs whose techy/deep house sound bridges the gap between big room and the underground, with hits including ‘Gecko’ reaching #2 on Beatport and remixing one of the biggest hits of 2013: Martin Garrix’s ‘Animals’ to name but two. Making his Cream debut is BBC Radio 1 DJ/producer Danny Howard, who’s still on a high after his performance at BBC Radio 1’s flagship event in Ibiza at Privilege earlier this month. 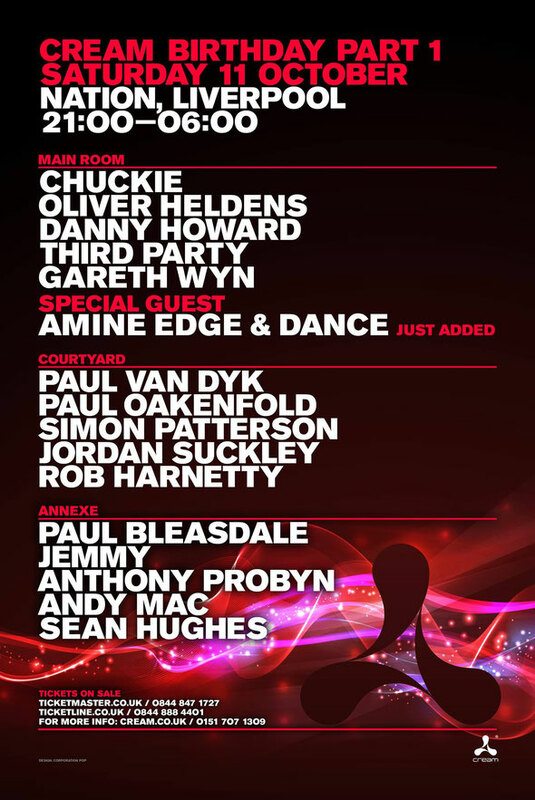 Completing the Main Room line up is Size Records’ duo Third Party and Cream resident Gareth Wyn. Over in the Courtyard is Cream favourite Paul van Dyk, who follows a summer residency for Cream in Ibiza, and is officially a fully-fledged member of the Cream family. He will be joined by Cream godfather Paul Oakenfold, Simon Patterson, Jordan Suckley and Rob Harnetty. Over in the Annexe are the unsung heroes, the residents, with classic sets from the likes of Paul Bleasdale, Jemmy, Anthony Probyn, Andy Mac and Sean Hughes.